Uyen Tran said that her involvement with the San Diego Maker Guild from the beginning helped with the library’s makerspace establishment and connection to the community. When asked for advice about getting involved in the maker movement as a library, Uyen said that listening to the community is most important. Every community is different, and each will need something different out of a makerspace, maker programs, and their library. She recommended not being afraid to partner with local businesses. On Sunday, October 7 I was able to speak with Catherine Hoang, manager of public technology services at the San Diego Public Library system. In addition to the Innovation Lab I visited, they have started some other makerspaces in branch libraries. They plan to roll out over 20 makerspaces in the branches over the next five years. Each space will be customized to meet the needs and interests of the community that branch serves. For example, one of them is a teen-focused makerspace that emphasizes audio production equipment to make music. Another makerspace in a very small branch will be mobile. One makerspace is near a university and will have a wet lab. Another will be eco-oriented. The San Diego Public Library already has a digital conversion lab for people to convert media from older formats to digital. I asked Catherine about how they partner with community groups, including businesses. She said that if a business wants to offer a workshop for a fee, they must go through a bidding process, but if they are willing to offer the workshop for free on a volunteer basis, they may do so as long as they aren’t advertising to the participants. The library’s makerspace volunteer base consists of large numbers of community members who are already interested in the maker movement, as well as university students and teen interns. Once the library put out a public call for helpers to fix the two 3D printers they had at the time. Dozens of people showed up at the appointed hour! The San Diego Public Library also partners with UC San Diego, which offers certificates to high school students who complete the library’s “Program Your Future” courses: https://www.sandiego.gov/librarynext. Connections with the wider maker community are important and very helpful. 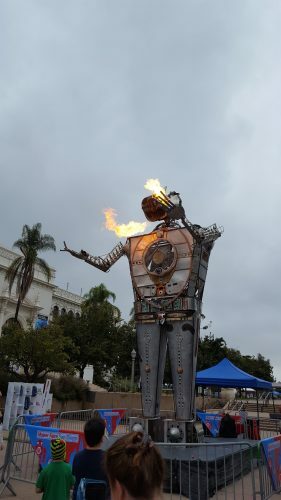 Many of the speakers and exhibitors at the MakerFaire were non-profit and for-profit organizations that offer STEM education opportunities to children and teens. One of these organizations was the nonprofit El Garage Project Hub in Mexicali, Baja California, Mexico. 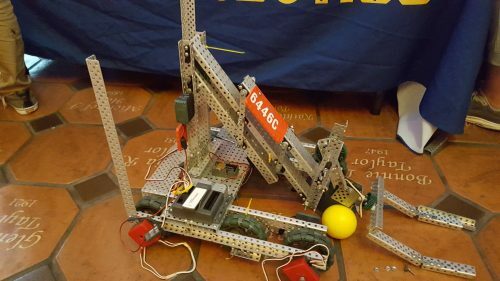 Their makerspace gives workshops for school classes, after school, and at summer camps. Over time El Garage learned how to help schools form more sustainable STEM learning programs that have ongoing impact. One way they did this was to offer lots of professional development and curriculum development support for teachers on the topics of STEM education and the “maker mindset.” The professional development goes beyond demonstrating specific tools, and teaches the teachers how to help students think critically and solve problems. At the El Garage booth after the talk, I spoke with one representative further. She emphasized the importance of focusing on the “maker mindset” when mentoring teachers, because problem-solving and hands-on exploration can be easily integrated into curricula, regardless of the tech tools available. She said that having a support group for teachers who are emphasizing STEM education can be very helpful. Another way to make STEM education more effective is to customize it to the lives of the students. One example of this is a project where the students read indigenous myths in books, myths with which they identified. They then created video games based on the myths using Scratch. Joan Horvath and Rich Cameron of Nonscriptum spoke about “Restructuring Education for the Maker Mindset.” Technology has become cheaper and more powerful, there is open source software, and crowdfunding has brought numerous new tools to the market. There can be a lot of hype around some new tools, but teachers often find that they are harder to use than expected. Adoption depends on teachers’ comfort level, the perceived cost of use, questions about assessment (“How do you grade this?”), and scheduling. Horvath offered some tips on sustainably integrating the maker mindset and tools into curricula. Some recommendations were to buy as little equipment/materials as possible until you know what will really be used, and try to get one concrete early success for your new program in a class. Don’t try to integrate making into every class, but pick just a few high-leverage classes. It is important to make it easy for students (and teachers) to start using the new tool/program, and to have plenty of room to explore and grow with it. Nonscriptum offers in-person and online professional development for teachers. They also publish related books. Another STEM education group at the event was Tre-O-Bytes, a nonprofit that teaches children and teens computer science and engineering. They focus their work in underserved communities. 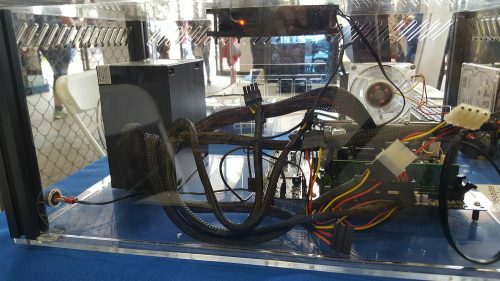 At MakerFaire they were demonstrating their basic computer building kit with a clear case. They have developed a manual to teach kids how to build a computer themselves. This demystifies the hardware inside computers and empowers kids to fix computers themselves. They can pass this knowledge and confidence on to others in their communities. For-profit after school and in-school coding/making services included Snapology, ThoughtSTEM, and Be A Maker Club. There were some adult makerspaces and technology clubs represented at the MakerFaire. Club ITF (Innovation Through Fusion) is a club that does not yet have a space, but strives to connect people from different disciplines to share knowledge. The club emphasizes the innovative ideas and projects that can happen when people network and combine their specialties. They meet at the subscription makerspace UMakers and hope to create their own space with some tools in the future. This is an example of how a makerspace like UMakers can build a community that “spins off” into new initiatives. The Be A Maker Club STEM education mobile makerspace also collaborates with UMakers. MakerPlace is a subscription makerspace, where a membership fee grants access to the space with advanced tools, and classes are offered for additional cost. Some basic operation and safety classes are required. They consider themselves to be a community-focused business: if anyone has a skill and a set of tools, they can propose a class and become a contractor to teach the class. MakerPlace gets a percentage of the fee for hosting the class. I had the opportunity to discover a variety of established and new tools for makerspaces and hands-on education. 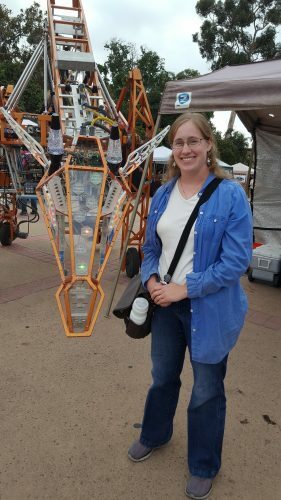 I can pass along information about the MakerFaire vendors to interested libraries. Please feel free to contact me with questions! In Which We Begin to Consider Moving to a New Library System.